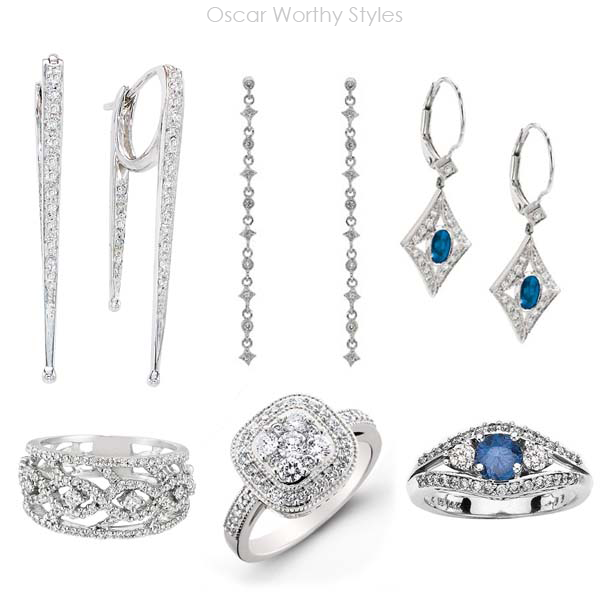 Hollywood’s most important night of the year is forever captured in memory and this year’s Oscar hopefuls and VIPs reflected the timelessness of the event with their choice of jewelry. Platinum, the precious metal that never changes color nor fades, ruled the red carpet at the 2012 Academy Awards last night. From Natalie Portman and Cameron Diaz’s diamond necklaces, to Angelina Jolie and Jennifer Lopez’s drop earrings, Hollywood’s leading actresses chose to showcase their jewels in naturally white platinum settings that truly enhance the brilliance of diamonds and colored gemstones. However, at last night’s ceremony, The Iron Lady actress, Meryl Streep, dazzled on the red carpet in a sparkling gold dress that matched the famous Oscar’s statue. 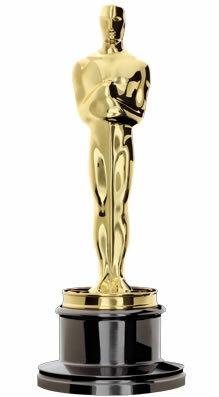 Want an affordable “Oscar” worthy look? We have so many styles that would be perfect for your evening out! 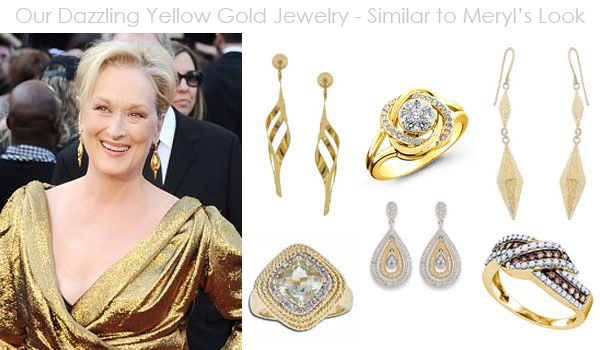 How do celebrities insure the jewelry that they “borrow” to wear during the Oscars? – Jewelers carry “block” insurance, which protects all their inventory should something happen. – Celebs are responsible for the jewelry that they wear; some even travel with security as an extra safety measure. “We need to know when they (are) picking up the jewelry, how the transfer is going to take place, where they are going to keep the jewelry when they take it off at night, and when it will be returned to the jeweler and in what manner,” says Janece White, vice president and jewelry underwriting specialist for Chubb Group of Insurance Companies. If the underwriter doesn’t like the plan, the company may require adjustments. White admits she’s a little more nervous underwriting the Grammys and MTV Video Music Awards than the Emmys or Oscars. “It’s a different crowd coming to see them,” she says. The underwriting decision often boils down to the celebrity. “In the end, is this somebody who is established, mature, who can tell me the chain of command, and I can trust that that is exactly what they’re going to do?” she says. So what’s the risk that a half-million-dollar Neil Lane broche will mysteriously “disappear” during an after-party celebration, and a claim will need to be filed? Slim, says White. “The biggest cause of loss for us is ‘mysterious disappearance.’ That’s when something falls off, and you can’t find it. Another is ‘unknown theft,’ where you thought you left it in the hotel room, and it’s gone. And there’s the ‘inside job,’ where you have housekeeping and other people in the house, and things walk away. The ‘stick-up robbery’ does occur, but it doesn’t happen as often with high-net-worth clients because they’re not normally on the subway or the bus,” she says. As for the risk that a star will simply fail to return a borrowed piece? This entry was posted in Jewelry and tagged academy awards, Jewelry, oscars. Bookmark the permalink.